The EU Fisheries Ministers will meet and decide on next year’s total allowable catches for the Baltic Sea during the Council meeting, 22 October 2015. WWF urges the Council not to once again break their promise, as they did last year, to restore the Baltic fish stocks to safe and healthy levels by following the scientific advice. Total Allowable Catches (TACs) and quotas are the main instruments to manage commercial fisheries in the EU waters. The Minsters have committed to follow the scientific advice agreed in the reformed EU’s Common Fisheries Policy (CFP) but in practice this commitment is not adhered to. Overfishing continues to be one of the biggest causes of marine degradation. Fish stocks in the Baltic Sea are at roughly 30-40% below their historical average and risk further decline. “Unfortunately Member States have an incentive to raise the total TAC to maintain their own share of the fishing quota. Consequently, TACs have been traditionally set so high that they seldom have room left for stocks to recover from the heavy overfishing in EU waters,” says Matti Ovaska, Fisheries Officer at WWF Finland. The CFP aims to reach fishing mortality levels below Maximum Sustainable Yield (MSY) by this year for all European fish stocks and by 2020 at the latest in order to restore and maintain fish stocks. Yet, the European Commission (EC) has proposed that the TAC for the Eastern cod should be almost 50% higher to what the scientists’ advise,. Furthermore, the Baltic Member States seem prepared, based on their current stated positions, to favor the EC’s proposal rather than the scientific advice when it comes to the Baltic cod stock. “WWF is alarmed to learn that the EU Commission fails to keep their promises when it comes to stop overfishing and follow ICES advice for the most important commercial species, the Baltic Cod. Continued overfishing of the cod could lead to the suspension of its certification as a sustainably fished stock,” says Ottilia Thoreson, Manager at WWF Baltic Ecoregion Programme . “The scientists have clearly advised that fishing pressure on both western and eastern cod should be restricted,” continues Ottilia Thoreson. The western cod stock has been unstable since 1990’s and still suffering from overfishing. 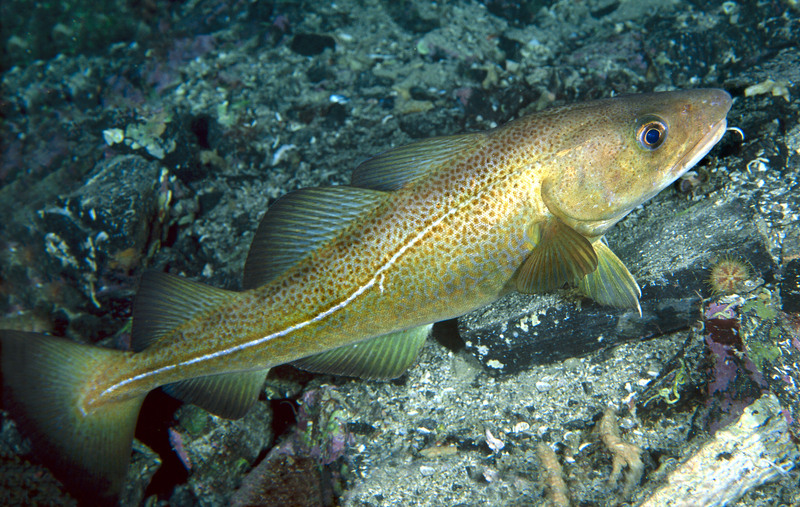 The eastern cod in turn has showed very promising signs of recovery but at the moment the stock is deemed as data deficient, meaning no real adequate management can be set. “Fisheries management should be based on the best available scientific information and on the precautionary approach. We have to trust the science even though some data gaps do exist. That is why WWF urges that the TACs are set according to the scientific advice, not according to the country’s specific interests,” concludes Ottilia Thoreson. Still ongoing but currently on hold is the trilogue on the Multi-Annual Plan for the Baltic Sea. The first plan to be developed under the reformed CFP has a precedent-setting nature that should not be underestimated for future predictability of catch limits that support environmentally sustainable and profitable fisheries. WWF welcomes the move toward long-term and multispecies management but are concerned by the deeply divided positions on the setting of catch limits in the plan. The Baltic Sea Member States must ensure, as legally mandated under the CFP, to set objectives to manage stocks sustainably - meaning the impact of fishing should allow stocks to recover to and be maintained above biomass levels that can produce MSY. Not only is the Baltic Sea’s future marine environment at stake but also the fishing industry itself which includes a current employment of 117,000 jobs and economic revenue of 3.8 billion euro in the seafood sector. International Council for the Exploration of the Sea (ICES), reported in the Fisheries Secretariat ”ICES advice for the Exploration of the Baltic Sea Fish Stocks 2015,” 2 June 2014. Study on the Blue growth, Maritime Policy and EU Strategy for the Baltic Sea region (2013) – 70% of the reference figures are from fish processing and retail.